Take the time to find out what different sorts of baby mattresses are available and discuss this with your partner, a friend who has experience or one of our advisors. 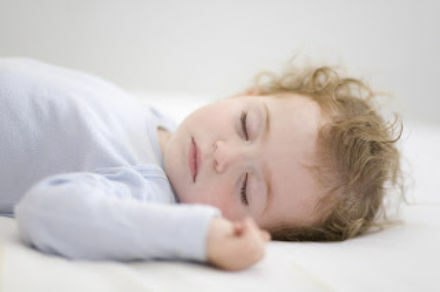 We have the largest selection of baby mattresses available in the UK. That is our expertise and we are here to help you. There is no need to buy baby's mattress when you buy your baby’s first cot or bed, it is quite simple to buy the mattress separately and make an informed choice rather than just take the standard one that is bundled together as a deal with the cot. Our mattresses start from as little as £12.50 and go up to as much as £375. However, please note, the higher the price does not mean the mattress is any safer for your baby, it purely reflects the cost of the materials. Our basic foam mattress range is perfectly adequate and safe for a newborn baby. Every new baby ought to have a new mattress. Even if you are offered a second-hand cot or cot bed, buy a new mattress for it whenever possible. Does the cover come off and is it machine washable at 60°C? This makes it easier to keep it clean, free from bacteria and allergens caused by dust mites. If it is PVC covered, there should not be any rips or cracks. This kind of waterproof layer is good when potty training and some mattresses have a wipe-clean layer. We offer a free waterproof sleeve with each & every one of our mattresses. It can easily be adjusted in position or removed alltogether if desired. The mattress must fit the cot or cotbed well with no more than 4 cm between the mattress and cot sides. If there is too big a gap, a baby may get her arm or leg trapped. To get the best fit, measure the inside of the cot and we can work out the best size for you. Some unusual size cots may need a specially made mattress to fit. This is our speciality. Each and every one of our mattresses are hand made in our own factory in Lancashire. If you choose a foam mattress, it should be one which is orthopaedic (that helps support the bones) and is dent resistant. All of our foam mattresses meet this requirement. We use CHHR 28 density foam, specifically manufactured for the baby and nursery industry. Does the material the mattress is covered with help to prevent overheating? Look for a mattress with good breathability or other heat regulating properties to help create a good sleeping environment and prevent overheating, which can be dangerous. W have lots to choose from which include Coolmax, Microclimate, XStatic and Bamboo to name just a few. Is it made from hypo-allergenic materials or have an anti-allergen cover? These can keep dust mites at bay which some people have an allergy to. If not, you can buy anti-allergenic cover sheets. We have an huge range of hypo-allergenic mattress covers and we have a huge range of mattress protectors. Your baby is born with poor muscle control and her spine and bones are growing at an amazing rate, so a mattress needs to be soft enough for comfort yet supportive enough to allow her to rest and grow. Being lightweight and cheaper, a foam mattress can be a good budget buy. However, it does lose its support over time so use this type for fairly short term use such as in a Moses basket, crib or cradle or a cot for occasional use such as in a cotbed at Grandma’s house or for a travel cot. They are nice and light so it’s easy to change sheets. A cot mattress should last about three years if maintained correctly. With coils of metal inside, encased in foam or polyester, this type of mattress will keep its supportive nature over a far longer period of time and is recommended for beds a child will use for a longer time such as a cot bed or junior bed. Generally, the more you spend, the better the mattress and the springs support your baby as he gets bigger. They are heavier and it may be harder to change the sheets but it is well worth the extra money. We have lots of variations of this mattress with an array of different mattress fillings or coverings which include wool, cotton, bamboo, aloe-vera and coolmax to name a few. We also make mattresses from completely natural substances such as cotton, wool, coir and natural latex. What ever type, size or shape of baby mattress you need we can certainly help. We can even make double density mattresses should you need a firm side for your baby and a softer side for when they are a little older. We can also make two-in-one mattresses which are fabric on one side & waterproof on the reverse for when your child is potty training. Think of it as creating a pizza! You choose the size, the fillings & the toppings and say "no thanks" to any of those nasty additives such as fire retardant chemicals!